I first went and fell in love with Rio de Janeiro some years ago, and was so impressed, I always promised I would go back. It took me 5 years – 5 years too many. Rio is divided into various neighbourhoods and in my opinion Ipanema and especially Leblon are the best. 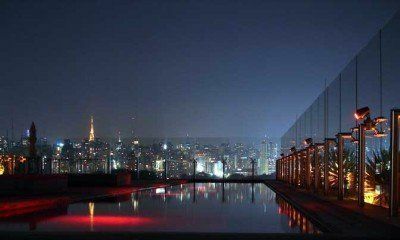 You can tell by the lack of English heard in the streets, namely in Leblon, the most upmarket neighbourhood in the city. This is where we stayed for 9 days, which could have easily turned into 90 – there’s a lot to see and we didn’t get a chance. So we have to go back! We stayed at the Sheraton Rio, around 400m from Leblon beach. Why? 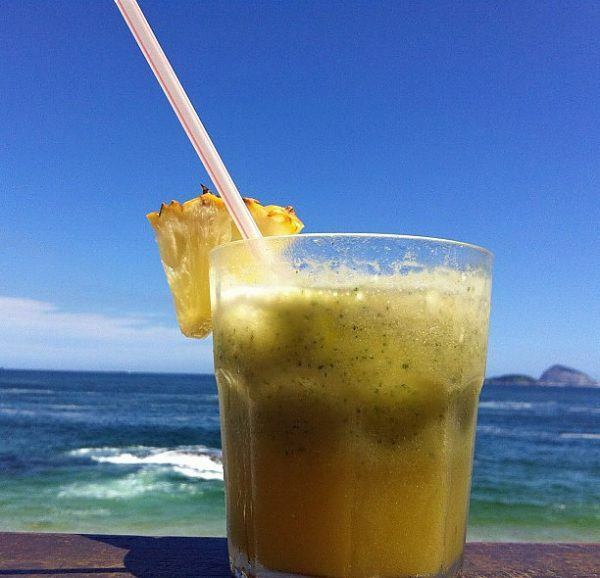 Because it is the only hotel in Rio that offers you a semi-private beach and is easy to get to anywhere in the city. 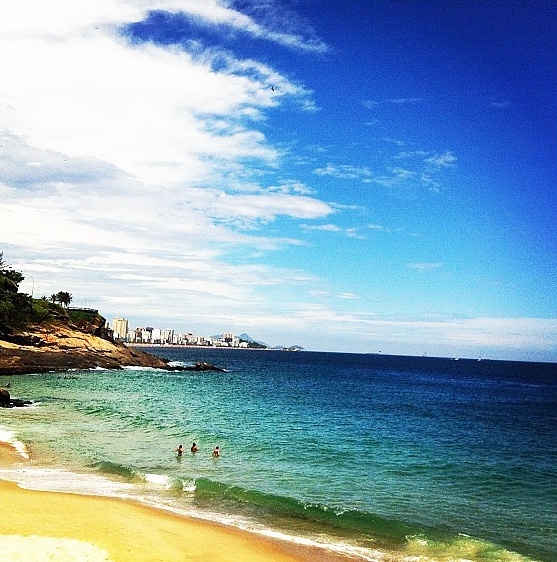 A small detail – the beach is shared by the hotel guests and the locals from one of the Favelas (Vidigueira). I could swear that we had armed guards on our first visit, but they were no where to be seen this time. We slept for 10 hours each day, bought way more clothes and shoes than anticipated, ate incredible delicacies – from the “salgadinhos” (savoury pastries) to incredible meat barbecues (“churrasco”), but most importantly, came back to England looking healthier and happy. For Mrs O’s Rio de Janeiro address book, click here. Hey, that was a great article! I’m going to Brazil soon myself and I’m gonna try to do everything alone, no tour, no car, in winter, I don’t know if it’s truly possible, but we’ll see how it goes ! Wonderful post!! 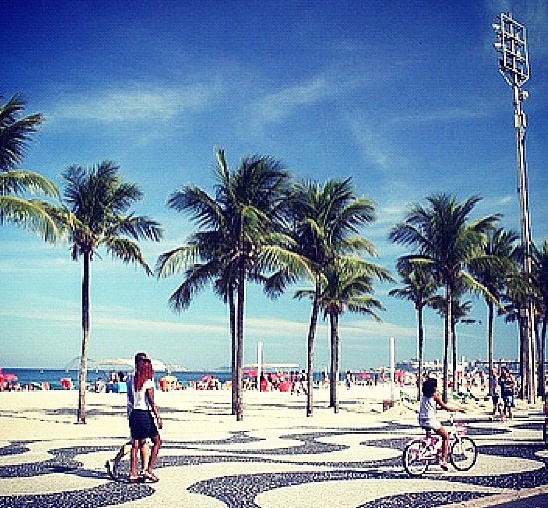 Just saw a show about the beautiful beaches of Rio and then came across this post! Must be a sign that I should get out there soon. Thanks for the inspiration and info on such a great city. Although I liked your post I don’t think you have really know/ have experienced the real Rio De Janeiro. To say that Leblon and Ipanema are the best areas and ‘you can tell this by the lack of english spoken’ is pretty laughable as it is one of the must up market and touristic areas in Rio and there is going to be a lot more English heard in these areas than probably any other area of Rio. Also to say this pacification is a good thing is pretty misinformed. Maybe for tourists yes but if you take time out to speak to the cariocas you will find its not done anything to improve anything for anyone really! Cara hi! Thanks for taking the time to comment. My trips to Rio have been organised with friends who live there and I am sorry, but Leblon is phenomenal. 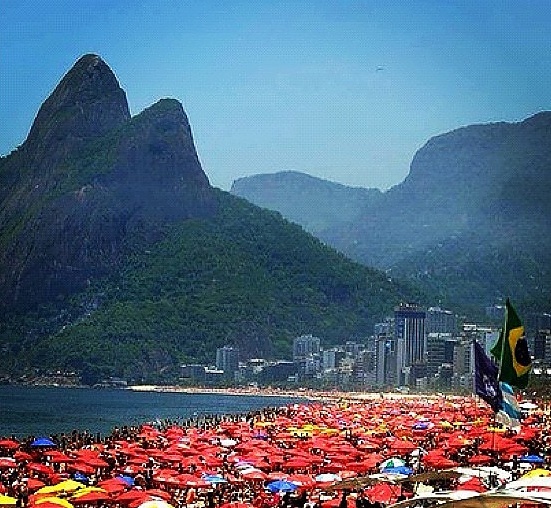 Most tourists go and stick to Copacabana and in my opinion, it isn’t for me. You should also notice the date of the article which was in 2012, so take it all with a pinch of salt. I am sorry that the pacification did not work out – but if I compare it with my previous trip in 2007, the city felt way safer. Have no idea how it coped since or will, and can only say what I thought and felt. That said, Rio is an amazing city and I would love to go back. And I will. O Rio de janeiro continua lindo! (Rios is beautiful) An amazing city with a variety of cultures, music, dance, tropical food/delicious drinks and the incredible happiness of the cariocas (people from Rio) You must visit Rio You will love this unforgettable experience. It is Impossible not to fall in love with Rio de Janeiro. The city vibrates with passion, sensuality, tastes and fun of all kinds. I was there just over new years ‘s eve and it wast the MOST amazing of my life to be in Copacabana among 3 million people watching the most spectacular fireworks display ever! Not to talk about the beaches of Arraial do Cabo and Buzios! Rio is the funniest city in the world. It´s a big city with the charm of a small village. Rio is a must. Oh, I so loved Rio, too! I’d been bracing myself a little bit because of the crime warnings, but I felt so at home when we arrived… Breezy weather, lovely greens and blues, delicious food, irresistible music..it’s a great thing our visas are valid for so many years. I’d jump at the chance to go back. Thanks for sharing the lovely pictures. My pleasure, would love to go back myself! You are so blessed to travel like you do! It has always been a dream of mine. I am fairly new to your blog, and I am in love!! Thank you for sharing with us. Oh thank you, very sweet of you! Thanks for stopping by! Great post and some amazing photos – am heading there in February and really can’t wait to see it for myself. 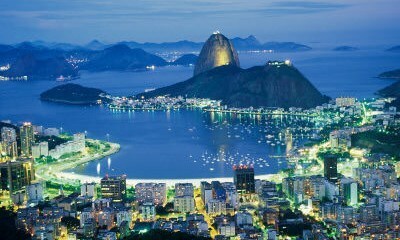 i really want to see Rio for myself one of these days! 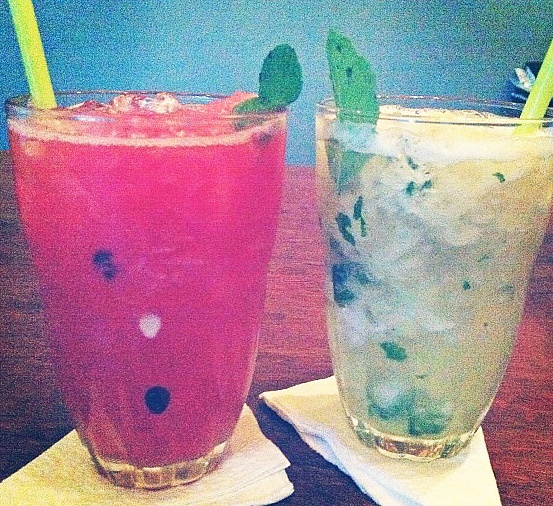 those cocktails look delicious!! You would love it! I can totally promise you! Rio looks amazing! We have been talking about planning on going there for the World Cup in 2014, but we will see! It’s not all that far away! 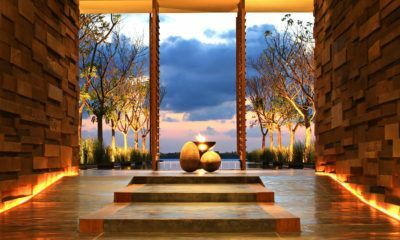 It is an amazing place, but I’d suggest go before, if you can! great photos and now all i want is a smart fox! Fabulous photos! I hope to visit Rio sooner rather that later. Of course, going there for the 2014 World Cup would be a dream come true. It’s going to be mad! Surely the atmosphere will be amazing! One of the most beautiful city we’ve been too. Best view, for sure! Kieu ~ GQ trippin recently posted..GQ trippin’ Turns 1 Year Old! Great post and stunning pictures, you need to go back to Rio and explore a little more, I am sure you fell in love even more! Too many places, not enough time 🙂 but I like your thinking! 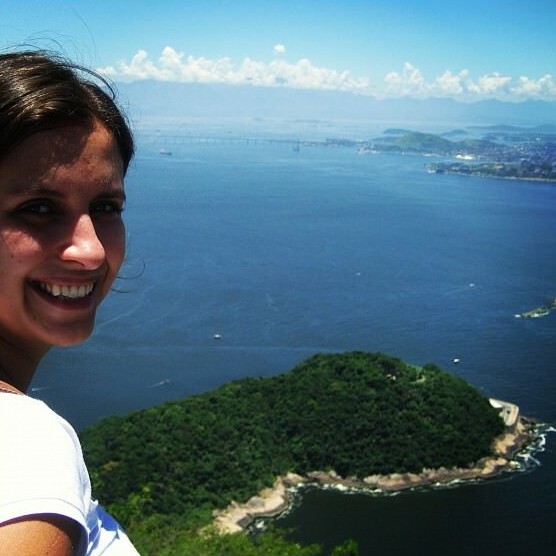 I absolutely fell in love with Rio myself when I visited about 10 years ago. The people are warm and friendly, the food was great, the beaches were fantastic. The beach is such a huge part of that culture. 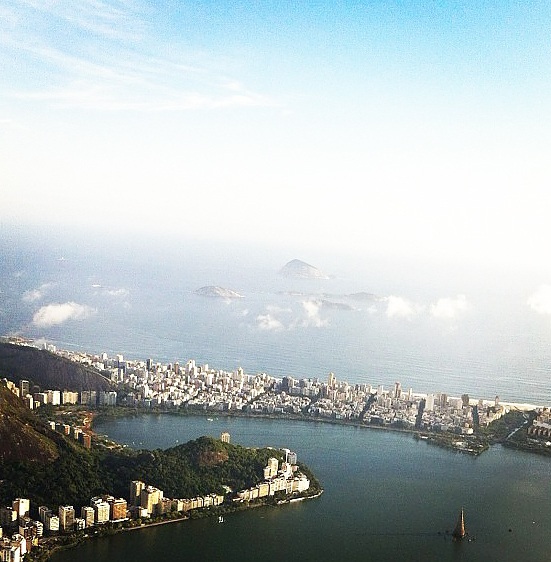 I also spent some time in Leblon as well, I could have stayed a lot more. nice post, and love the pictures. Hi! Thank you for your kind words 😉 Rio is indeed special. 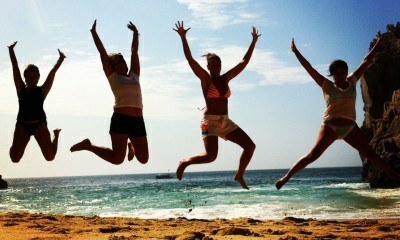 Can’t wait to make up a credible excuse to go back! 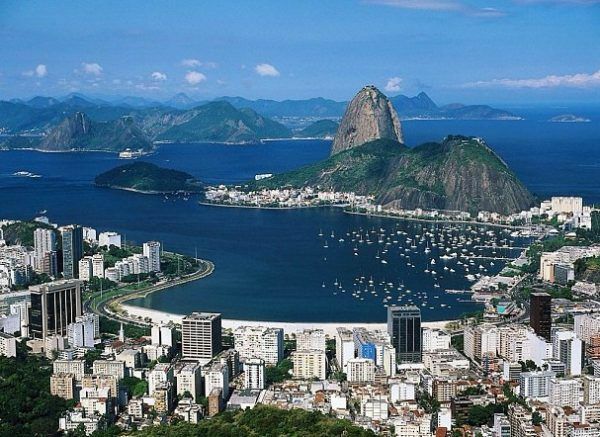 Rio is on my list of places to visit. I’ve missed it a few times but definitely will make it for Olympics 2016 if not before…Great photos, btw. Remarkable photos! Thank you for sharing them with us! I would so love to visit Rio. Maybe someday I’ll make it there! Wow I’ve never been but it looks incredible and now I want to go! Beautiful pictures! thank you! it is an amazing place indeed 🙂 do subscribe if you can so you don’t miss the upcoming posts! Thanks so much for your bday message honey!! pleasure! loved how you did that – mine is in April hahaha watch out! I havent, and to be honest I feel I havent seen half the city yet.. need to go back! thanks Toni! It was a pretty special trip indeed! 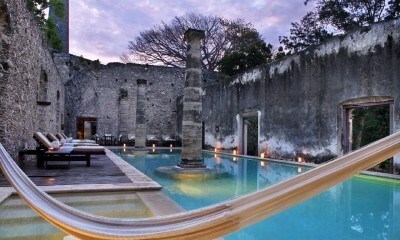 Amazing…I’m going in March and I can’t WAIT! Oh you will love it! There is another post with some of our recommendations – bars, shops, restaurants, hope it helps!! Very nice pictures. I’ve been there a few times. It’s not someplace I’d want to live, but certainly great to visit. amazing! 🙂 i wanna go there now!